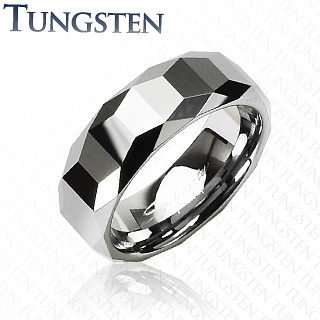 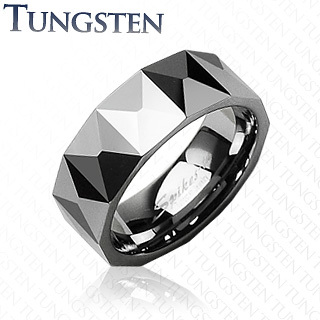 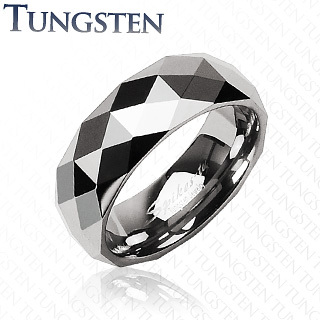 Tungsten Carbide Ring With Trapezoid Prism and Cutting Edges Design. 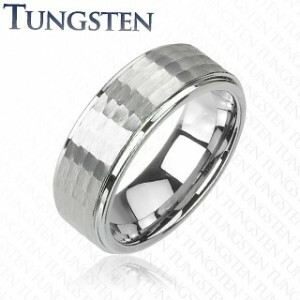 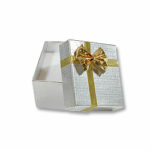 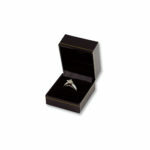 This popular wedding band has a comfortable fit and a very masculine feel. 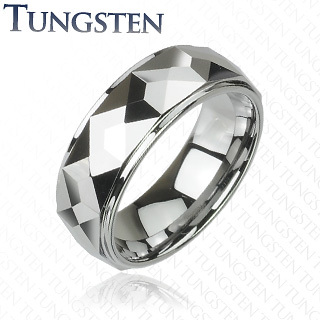 It will stand out and shine on your finger.